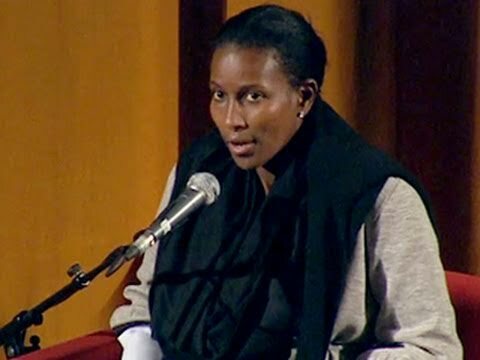 Ayaan Hirsi Ali explains her support of missionary groups who seek to convert Muslims to Christianity, despite her personal identification as an atheist. "If we don't compete, we run the risk of living in a global order where the radical Muslims win the hearts and minds simply because there's no one else competing with them," she argues. Ayaan Hirsi Ali is an outspoken defender of women's rights in Islamic societies. Hirsi Ali was born in Mogadishu, Somalia. She escaped an arranged marriage by immigrating to the Netherlands in 1992, and served as a member of the Dutch parliament from 2003 to 2006. In parliament, she worked on furthering the integration of non-Western immigrants into Dutch society, and on defending the rights of women in Dutch Muslim society. In 2004, together with director Theo van Gogh, she made "Submission," a film about the oppression of women in conservative Islamic cultures.